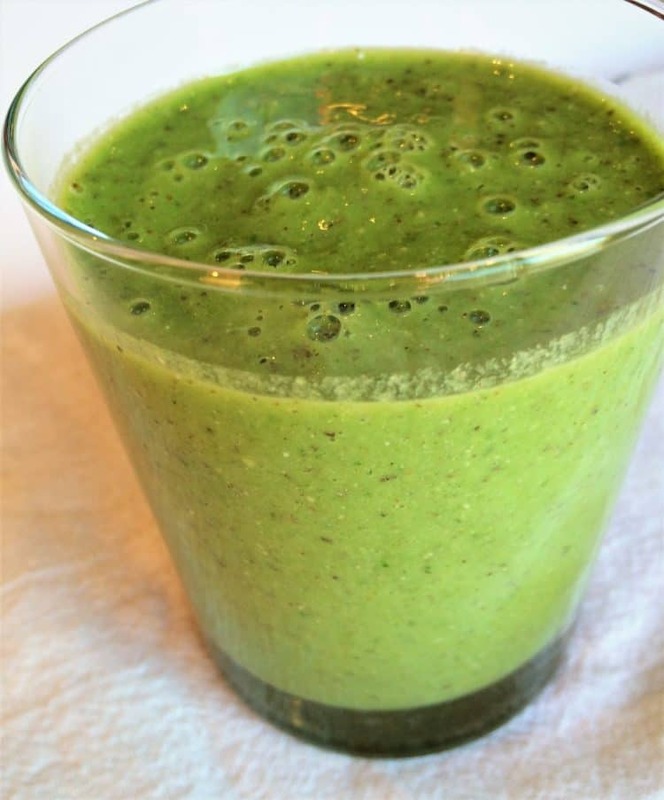 I know what you may be thinking, “Et tu Nadia?”, another healthy green smoothie? Yes, I’ll admit it, I jumped on the breakfast smoothie bandwagon about 15 months ago. I do love my comfort foods, especially my Sicilian arancini and my gnocchi! Then again it’s all about moderation and balance, isn’t it? Ok, just hear me out. Just over a year ago, during the winter, I was feeling quite sluggish, low in energy and experiencing digestive problems. A dear friend of mine spoke to me about a cleanse process she was following which included smoothies, so I decided to give it a try. I immediately noticed that I felt much better compared to my typical carb laden breakfasts. 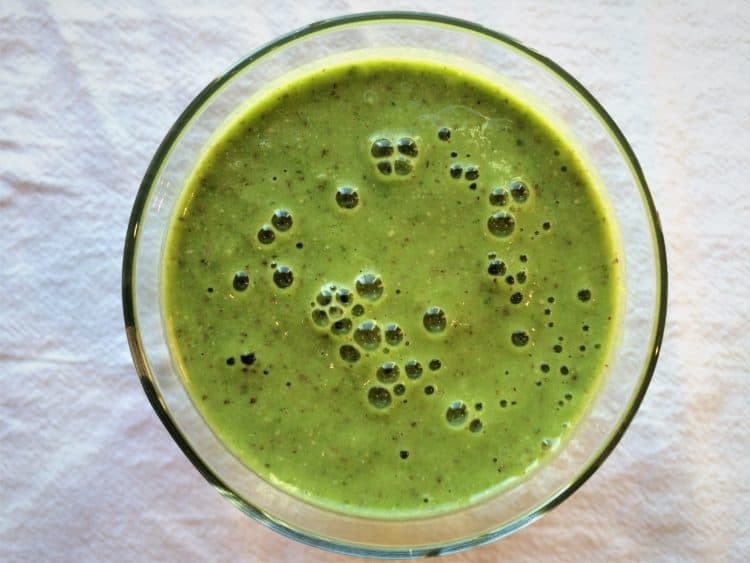 Having a smoothie for breakfast no longer triggered my usual mid-morning hunger pangs. But, if I get hungry around 10:00 I’ll have a snack such as apple slices with almond butter. I have since stuck to my morning smoothies, making exceptions for occasional weekend pancakes or waffles. I can’t possibly give those up! Another advantage of a morning smoothie is that you start your day already having consumed a portion of fruit and vegetables. So you’re off to a good start! The variations for a breakfast smoothie are endless but the use of almond or coconut milk instead of dairy is key. Almond milk contains protein and I like to add almond butter for added extra protein and flavor. I add chia seeds soaked in water for even more protein, fiber and omega 3 fatty acids. Chia seeds are soaked in water creating a gel like consistency which makes them easier to digest. Simply soak 1/4 cup of chia seeds in 1 cup of water and let stand for at least 15 minutes or, preferably, soak them overnight in the refrigerator. I keep this mixture in the refrigerator for up to a week. Also, it would be ideal to use organic ingredients where possible. Preparation is quite simple. I keep all my ingredients ready in the refrigerator and toss everything in my Magic Bullet every morning. If you have a favorite smoothie combination of your own, please feel free to share. I love indulging in my Sicilian specialties but I like to start my mornings with a healthy smoothie that keeps me satisfied for hours. 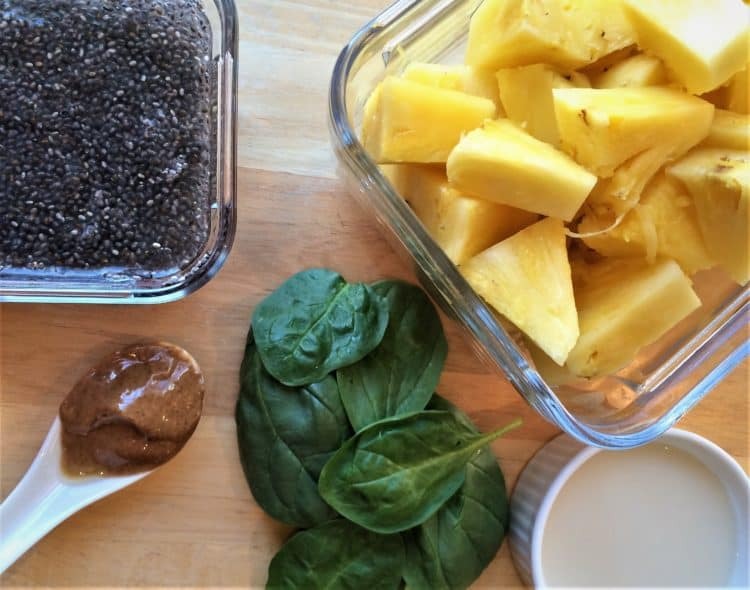 Place all ingredients in your blender or Magic Bullet and purée until smooth. Serve immediately.